The PALEOMAP PaleoAtlas for GPlates consists of 91 paleogeographic maps spanning the Phanerozoic and late Neoproterozoic. The PaleoAtlas can be directly loaded into GPlates as a Time Dependent Raster file. The paleogeographic maps in the PaleoAtlas illustrate the ancient configuration of the ocean basins and continents, as well as important topographic and bathymetric features such as mountains, lowlands, shallow sea, continental shelves, and deep oceans. 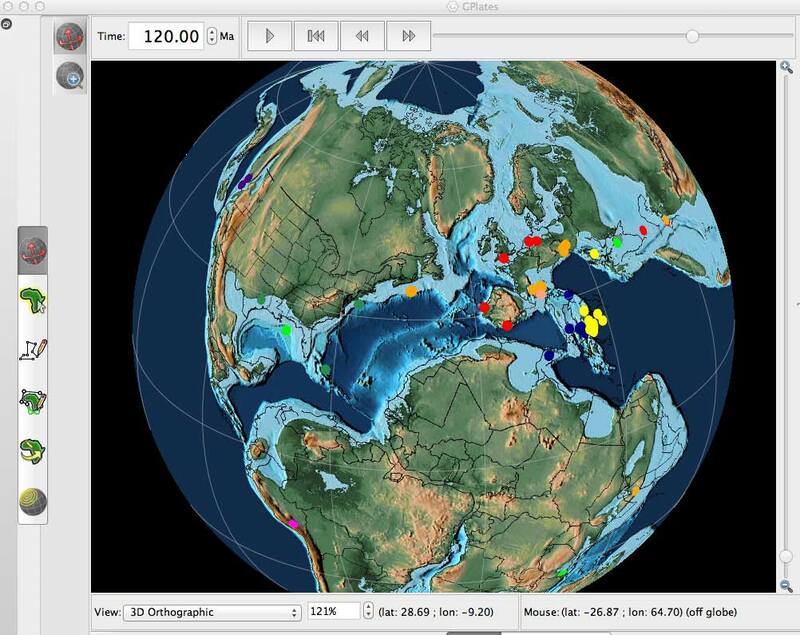 This tutorial also describes how the maps in the PaleoAtlas were made, documents the sources of information used to make the paleogeographic maps, and provides instructions how to plot user-defined paleodata on the paleogeographic maps using the program PaleoDataPlotter. For any questions about the resource please email: Christopher Scotese. Link to data and tutorial.